Buy online GS069/GS-069 DC Rotational Velocity Controller in India at low cost from DNA Technology, Nashik. 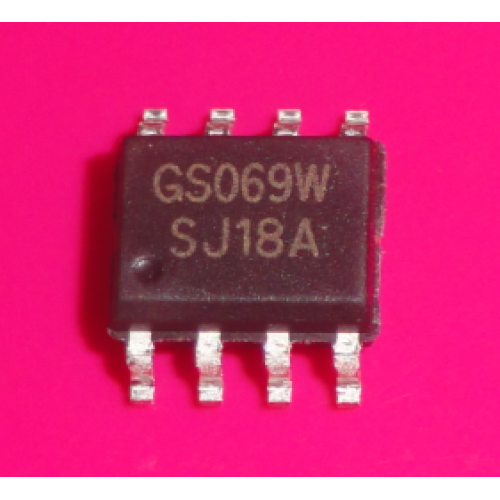 The GS069/GS-069 DC Rotational Velocity Controller is an application-specific CMOS IC for electrial tools. It features wide power supply voltage range, low power dissipation and high interference immunity. It controls the rotational speed of electrical tools by changing the output of the VMOS transistor through an external resistor network. It is widely applied to different electrical tool switches for its wide output range, small frequency variation, variable duty cycle and high output current.